The Enigma Energi Lightweight Powerchair has many luxury features normally found on the most expensive of chairs yet is surprisingly affordable. It is easy to handle and is extremely responsive, has a very small turning circle and is a pleasure to sit in. These powerchairs now also come with Canvas Cushions as standard. A maximum range of 15 miles on a full battery charge*. 18" and 20” seat widths available. Double Cross Brace for responsive manoeuvrability. 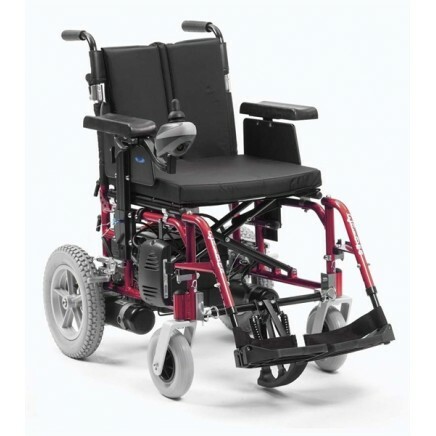 The powerchair is foldable and has a detachable basket for easy storage. *Depends on user mass, terrain and battery condition.